A 176-page paperback book by Katherine Tyrrell. An interesting book, packed full of information. Beginners will find all the fundamentals of drawing covered in this book, though it does not directly cover technique, and those who already draw should find the inspiration and motivation useful. It is full of inspiring drawings, useful exercises and ideas about art. It is not quite what I expected as some of the 365 ‘tips’ could be better described as ‘thoughts’ or ‘observations’. They are helpful and interesting but are not always written as you would expect a ‘tip’. 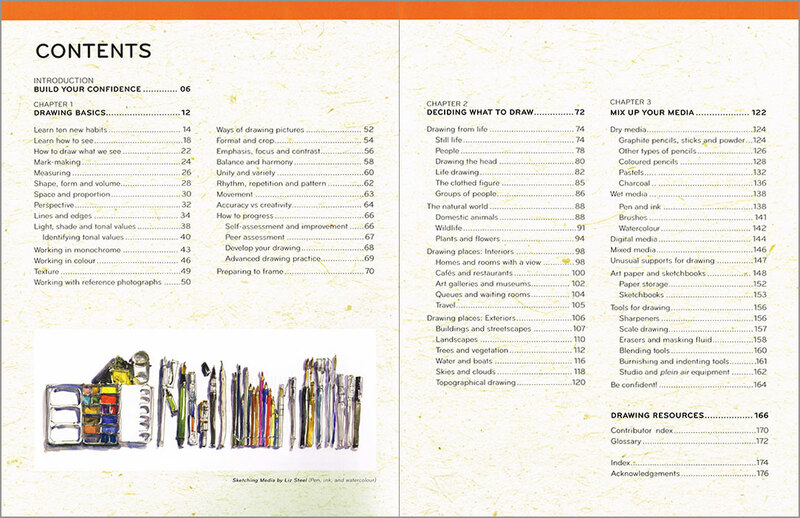 Some of the tips are motivational hints, and the book definitely encourages you to draw! Katherine Tyrrell is a writer and artist living in London. 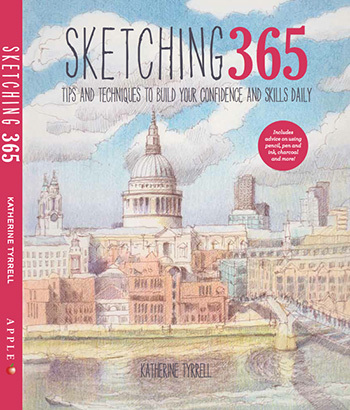 She has been sharing tips, reviews and resources for artists nearly every day for nine years on her popular art blog “Making A Mark.” Katherine is a founding member of Urban Sketchers London and her “Travels with A Sketchbook” blog has been featured in The Times. Click on the underlined link to go to the current offer on the book Sketching 365: Build Your Confidence and Skills with a Tip a Day on the Jackson’s Art Supplies website. Postage on orders shipped standard to mainland UK addresses is free for orders of £39. 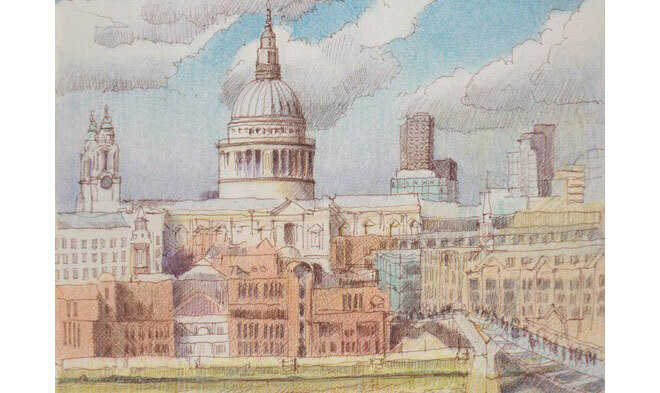 is from the front cover – ‘St Paul’s and the Thames from Tate Modern’ in pen and sepia ink and coloured pencils by Katherine Tyrrell.